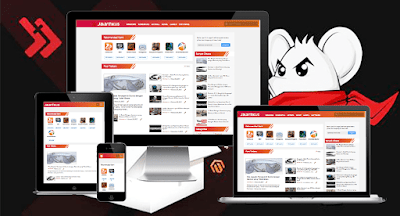 TemplateHack.com - Download Jalan Tikus premium blogger template. Hello, today I will share one of best clone blogger template. This theme is adapted from Jalantikus website. Template Jalantikus is a personal blog template. This template have many features like dynamic heading, responsive, ads slot ready, and many more that make your personal or download blog look profesional. So I hope you can download this template and install on your personal blog.